Are you worrying about your first assignment as wedding photographer? Do you feel anxious about it? Are all those HOWs and WHATs worrying you?? Well, first of all many congratulations on getting your first wedding photo shoot assignment…!! For first timer wedding photographer, it can be a nerve-wracking experience. You might be getting those daunting thoughts. But trust, it is absolutely natural, doing things absolutely on your own seems little intimidating for the first time. More often than not, first timers feel that way. And that’s also true that there has to be a first time in life, and yours is this. Well, nothing to worry about as you already know the technicalities of the camera and the shooting. You have experience with your camera and its tools and have developed those pivotal skills required to take those great shots which can make wedding memorable for the couple, all you need to do is be professional and confident while shooting. How you ask…. Keep reading!! 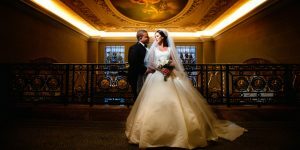 Your first time can be the best impression you can leave on people and your journey from here will embark as professional wedding photographer. But being first timer doesn’t give you the privilege to commit mistakes as it is about the couple’s life-long memories that you will capture, in fact this is going to be your first album to showcase it to people next. Don’t forget “there is no second chance for the first impression.” But worry not, you are just a first timer not a greenhorn. 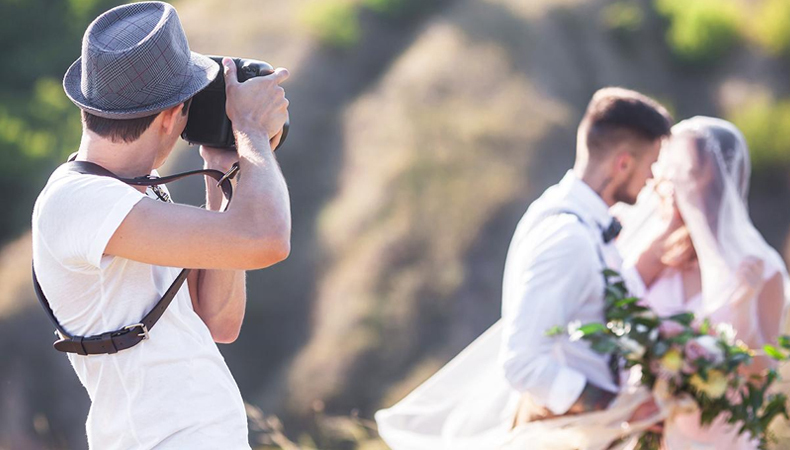 Here are some pointers to help you undertake your first assignment as wedding photographer. Preparing yourself well in advance for your assignment be it first or any in sequence, is the best way for you to have a successful outcome. Make sure you have enough time before you start to work on project, go through the websites, blogs and forums of other wedding photographers, read books on wedding photography to understand the nitty-gritty of the wedding photography. You will be amazed to get huge lot of information from these practices. 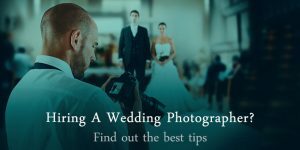 The tips and tricks which other wedding photographer provides through their blogs and forums are genuinely inspiring and can help you get your answers for Hows and Whats easily to accomplish the assignment successfully. Don’t just bump into the assignment, everything has to be done in a formal ways. Chance occurrence is the couple is known to you, but to go via signed agreement is always good for both the parties. Hence it is important that you have a standard written agreement duly signed by the couple and you. Don’t neglect the agreement as it contains terms and conditions related to the deliverable and the payment against the service and products. As you are first – timer, you should better take guidance of a lawyer to have draft this standard agreement for all your assignments. It is highly likely that the couple is known to you who knows that you own a DSLR and click great shots. But it doesn’t fulfill the whole pre requisite for the assignment. You need to create a bond between them so as to know them well as a couple and know what exactly they are seeking from the photographer in their wedding. Spend some time chatting with them to know their story, how they met and all, also, they will know you too. Like this both of you and the couple will be comfortable with you and on the wedding day it will be easy bring out their true personalities through your pictures. Try to build that confidence, you will also feel confident once your client is comfortable with you, and gradually you’ll be able to meet their photographic expectation and you never know you may even exceed their expectation!! Do you have the schedule with you, if not, then have it? It is indispensable to know the exact schedule of all the events related to the wedding. 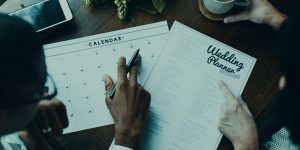 Ensure that when you meet the couple you ask for the schedule for the entire event. Also, know every detail when and what time you are expected at the venue. You should also know their expectation beforehand. Also, tell them how and when you would like to have them for the photographs. Take down the details like name and phone number of point of contact (who so ever the person is a family, friend or a wedding planner) who will help you on the wedding day because off course your bride and groom will definitely not be available to help you out. It is highly recommended to survey the venue well in advance. People do get wedded at myriad of locations or places for that matter from wedding points to fields, from indoor to outdoor, you got to have even the tad details of the venue like where the light is coming from, where you can get the best shots, where will you need your flash for proper white balance etc. Basically, you need to scan or scrutinize the location thoroughly in order to accomplish the assignment successfully. And yes, being first-timer taking few test shots and perform a custom white balance check with your camera will be tremendously helpful to have great pictures on the final wedding day. Another imperative element for preparation in advance is checking your equipment/tools thoroughly in advance. And it should be done at least 4-5 days prior to the wedding not just half an hour before you leave, people commit such blunders and then regret later. Such checks help you locate faults (if any) in any of your camera and give you enough time to prepare yourself for the final day. Backup of everything will keep the show going! It is very important that you carry multiple of everything during the wedding day. 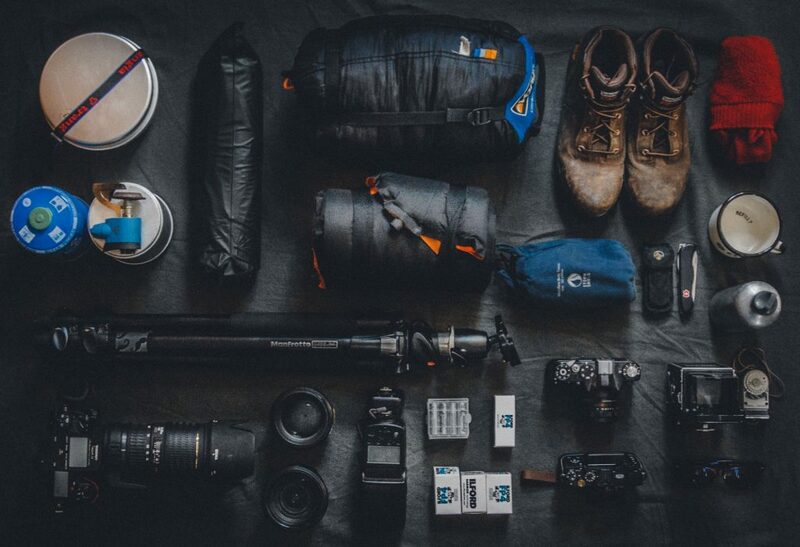 In almost all the cases it is recommended to have two camera bodies, two flash units, multiple batteries and multiple SD cards, bring the enough of everything than you think, you never know when the exigency will arise. Off-course you will not want the batteries running out just before that stage photo shoot, or suddenly your SD-cards left with no space it will be downright embarrassing situation. Bring everything in spare, to have no chaos later. 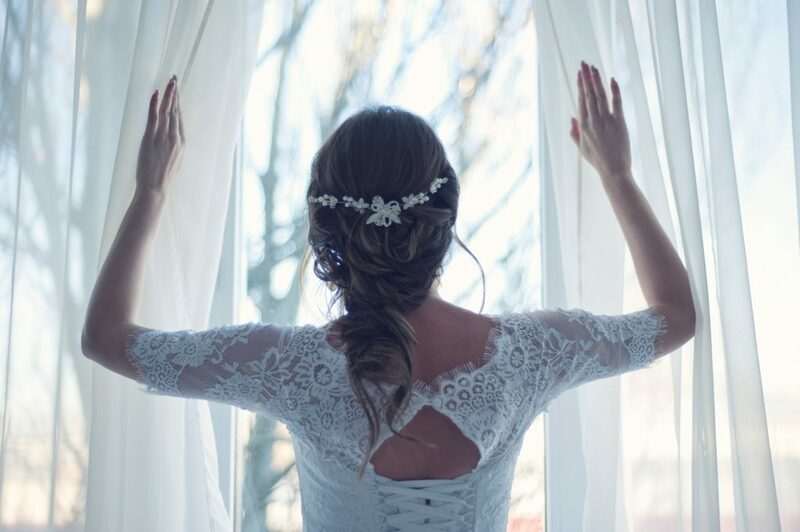 Because you never know when something stop to work or drain out, certainly you cannot cry your pain there during the wedding better be prepared for anything. Do you have someone to assist? Well, to have someone to assist you during the wedding is very crucial, as there will be motley of occasions where you would want someone to carry you bag, your equipment, hold off camera flash for you or maybe you are busy taking bride and groom shots, the guy can at least take other snaps not leaving any stone unturned. It will be tough and tiring to handle the entire wedding photo session single-handedly, it’s better to have an assistant, it will not only ease the burden on you but also result in better photographs. Since you have prepared everything all your equipment, you have even scanned the venue, backup checks done, now is the time to prepare yourself for the big tiring day. Take a sound sleep a day before, eat wisely (not too much), and don’t keep yourself hungry as it can hamper your work. Stock some light snacks and water. If headache is what you get for sure while in tight and tiring schedule then keep your pain killers with you. Last but not the least, dress yourself comfortably and appropriately. Leave a tad early to reach venue on or before time as the traffic jams on road can cause unwanted delays, which is not good. Begin your shoot with the outdoor venue shots without people, just to blend them in the wedding album. Now is the time to get in, before that adjust your camera’s white balance, turn camera sounds off; you don’t want your camera to make noise during the ceremony. It may be your first wedding photography but you know it all, that you have to picture every small thing. 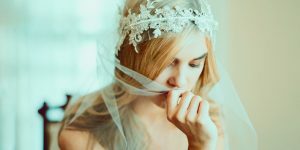 It’s just not about bride and groom, it is more than that, everything from Rings to flowers, menus to napkin holders, stage setting to round tables and chairs, bride’s dress to groom’s headdress. Photographs of these small things will give a different exposure altogether to the wedding album as the wedding is not just about bride and groom, in fact a wedding is far more than that and a photographer has too much to traverse and present to the couple as their memory for the life-time. Yeah, it is undeniably your, first wedding photo shoot and you might be anxious to get the best candid shots during the wedding and you might need to propel around the guest to take candid shots of the bride and groom without them being aware, be easy while doing so, don’t be pushy in such a situation because your wedding venue will be swamped with guests. 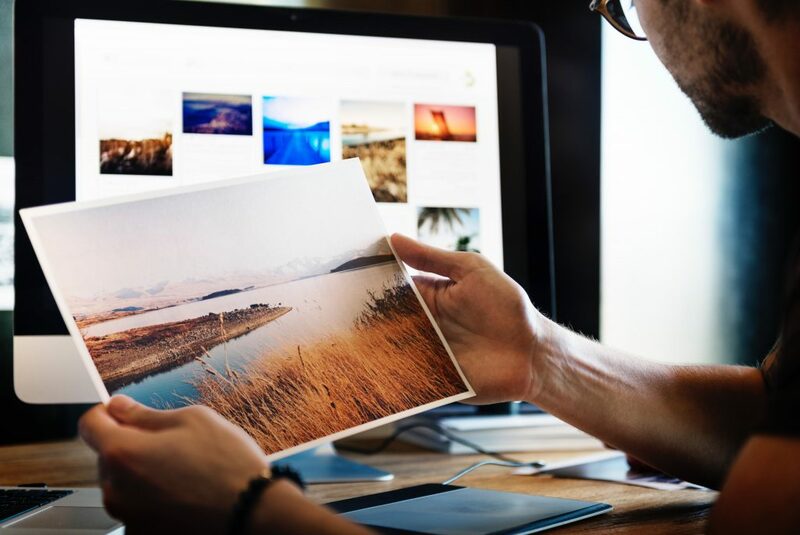 You may want to shoot JPEG images as it uses less space on your SD card but you know that it will auto-compress and you will not be left with much to work later. So, it is highly recommended to shoot RAW as no information is compressed and you have a lot much to do after the shoot to produce higher quality candid shots. Being first timer, you can use every possibility to make it your best work to show case it with other people to and your couple will be surely with your work and chances are that you will recommended by them to others too. In every wedding, group shots are sort of vital, you too don’t miss on them. There will be close relatives, family and friends to be shot in the group. Everyone should be involved, you surely have the list and the people for the group shots which was decided in the very first meeting with the bride and groom. Be it a stage shot or candid ones, don’t forget to capture group shots and the vital guests in the wedding, as this way you can have everyone in attendance in one frame. You may need to go high for the one to capture many in one frame, do it!! You might have seen a photographer standing over a table to get that group shot. So you know what I mean. Indeed you do. Yes, most of the time you will be indulged with bride and groom but there will be breaks from them in between, during those breaks you can capture the olds and young’s in the wedding. It will save your time, also there may be chances that they leave early and you will miss to do the needful. So, it is good to do in breaks. Light outdoor and light indoor always differs, outdoor you always have the prerogative for the sunlight whereas indoor halls can be badly dim and poor to get good shots. In such situation always use fill flash. Sometimes wedding takes place in a temple, so it is always good to know where all you can go and whether you can use camera in all those places or not. You can always have those details prior to the wedding. Well, rarely people wed-lock in temples these days, it is just in case. Well, in a wedding no numbers of pictures are re-decided. It is only after the shoot you couple decides which one to select for the final album. So, you have to be in continuous shooting mode to get those best pictures for the final wedding album. Take shots in any situation, you never know which one is going to be in final album, and some might get blurred and become unusable. Try to capture people when they are relaxed, happy, emotional, dancing, drinking, smiling, chit-chatting, all in all doing anything. You have to be in shooting mode to capture those momentous moments to get candid, stunning and magnificent images for the final wedding album you never know out of thousands which are those. Capture your bride and groom in different poses, take candid shots like the first time groom saw the bride in her wedding dress, he held her hand to come upon stage, they are just smiling, when they are talking, and many more. And if the wedding is taking place indoor, don’t forget to take shots of the bride and groom outside. Even if it is the night time still try to get some outside shots of bride and groom. Now the wedding is over, all you need to do is transfer all the data in your computer, but do not re format your memory card immediately. DO NOT HURRY to post the images on any site, there is still a lot to do. Now you have taken the pictures contact the bride and groom and schedule a meeting with them, because they are the ones to select the images out of all and give their final approval upon the number of images for their wedding album. One you have got the final pictures selected by the bride and groom you will now refine them to add them in the final wedding album. It is imperative to provide a high level customer service after the event and before it. Good relations with the client always help you to fetch work from them in future too. Make a note of things which went wonderful and things which went wrong from your end, as it is always advisable to know your mistakes and learn from them. It is not like you are the first time, even the ones who are doing it for years learn from their mistakes because to err is human and it happens but you cannot just keep repeating them forever. It is for your good only.